In the traditional communications model (from Jr. High) you have a sender (you) a receiver (them) and a message. And just like Jr. High, it’s so simple…so pure… so blissful. …And then we grow up, supposedly “get smarter" and throw about a million things in the way of this very simple model to the point where most organizations couldn’t tell you what their message truly is. And if they did, it would be so filled with self-serving, buzzword-laden laborious language that you’d check out long ... Más informaciones before they finished. There are reasons why the message got lost along the way, but fear not, I will help you reconnect with it and get your comms back to that amazing sender-receiver-message simplicity. 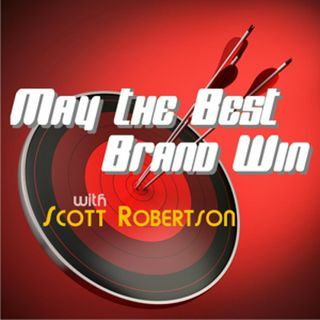 And of course, we’ll dig right into who is winning and losing this week in marketing & communications on the next Oscar-nominated episode of May the Best Brand Win on Entertalk Radio.